We are glad you are interested in the Online Learning Assistant Program (OLA). We know that sometimes it is difficult to give all your online students the one on one support that they may need. The Online Learning Assistant program was developed in collaboration with UNM Extended Learning (EL) and the Center for Academic Program Support (CAPS). The program focuses on helping improve student learning outcomes and foster engagement with course material and challenging course concepts using embedded tutors. They provide an additional layer of support for you and your students. OLAs can provide support for both writing intensive and non-writing intensive courses. Engage in difficult course material with students. Provide opportunities to deepen content. Encourage students to think critically about the subject. Lead group or one-on-one tutorials/discussions on the content covered in the course. Provide feedback on student writing or other assignments. Share successful online learning/academic strategies for students. Show students how to maximize the benefits of online learning. Participate in online discussions to encourage active construction of knowledge. Model and encourage communication between students in the course. Provide online group review sessions for the class through Collaborate. Help promote and model diversity and inclusion among learners. What is my commitment as an instructor? Meet with the tutor for at least 1 hour/ week. Communication between tutor and instructor is key for the OLA program. This can take place online or in person. Communicate with Online Program Specialist throughout the semester. Attend mandatory three hours Center for Teaching and Learning/CAPS OLA session/training. This training will cover embedding a tutor into your course best practices and support. Incorporate the OLA into your curriculum. Your EL Course Designer and CAPS staff can provide one on one support if this is your first time embedding a tutor into your course. 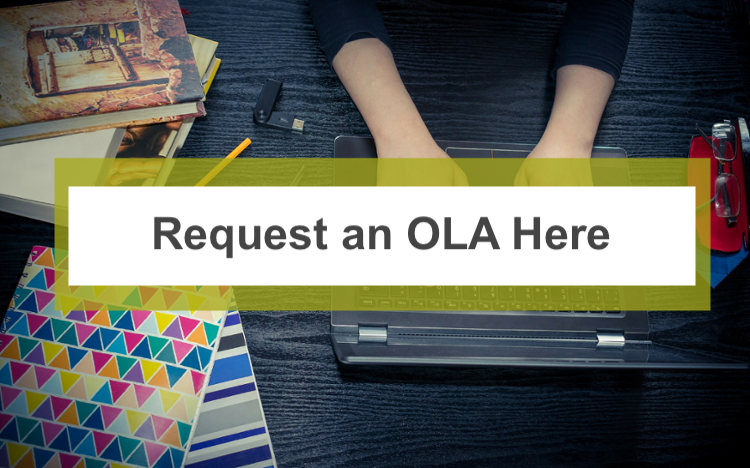 Provide opportunities for the OLA to interact with your students through assignments, review sessions etc. Is my course the right fit for an Online Learning Assistant? Your course is a fully online course offered through Main Campus. 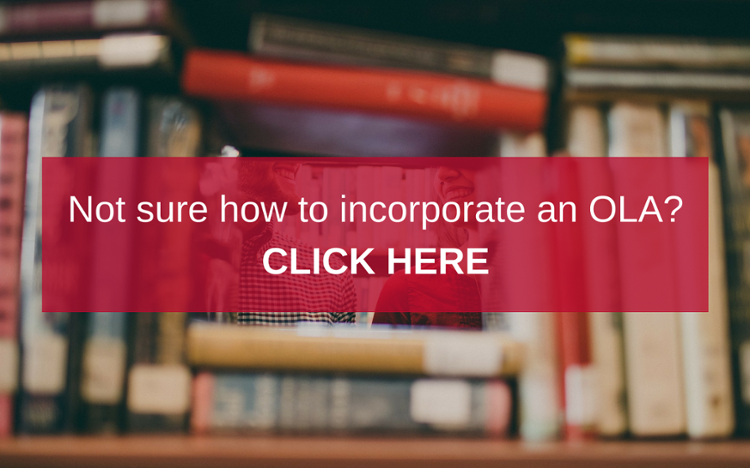 The curriculum for your course allows for minor adjustments to incorporate the tutor. Your course has frequent, scaffolded and/or challenging assignments. It is a traditionally challenging course for undergraduate students. What are the benefits of having an Online Learning Assistant? An OLA offers students in your course the perspective of an experienced student. Through a peer tutoring model, OLAs can build community among online students. It can help expose students to tutoring who may not seek it otherwise. OLAs are CAPS employees and thus your department does not incur any cost in you having one for your course. UNM courses with an OLA (embedded tutor) on average have lower Drop/Fail/Withdrawal (DFW) rates and higher A & B rates. What are the limitations of Online Learning Assistants? Act in place of or as a Teaching Assistant. Teach new concepts the course instructor has not already introduced. Grade quizzes, exams, or final papers. Enforce class management or discipline policies. How do I request an OLA for my course? Due to the limited number of tutors available, there is a short application process. Assignment of an OLA to a course will be dependent on tutor availability, the type of course and the way the OLA is planned to be incorporated into the curriculum. Please contact Dayra Fallad-Mendoza, CAPS Program Specialist for Online Learning at 505-277-7059 or dfallad@unm.edu. You can also speak with your Extended Learning Course Designer to see if an OLA is a good fit for your course.